Makes sure the collection you want to add to make available to your retailers is published to Mothership. 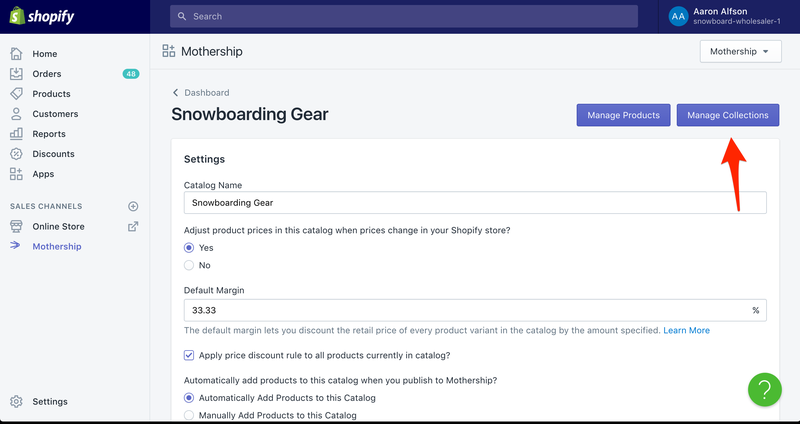 You can publish a collection to Mothership by going to the collection's configuration page and checking the Mothership box under sales channels. 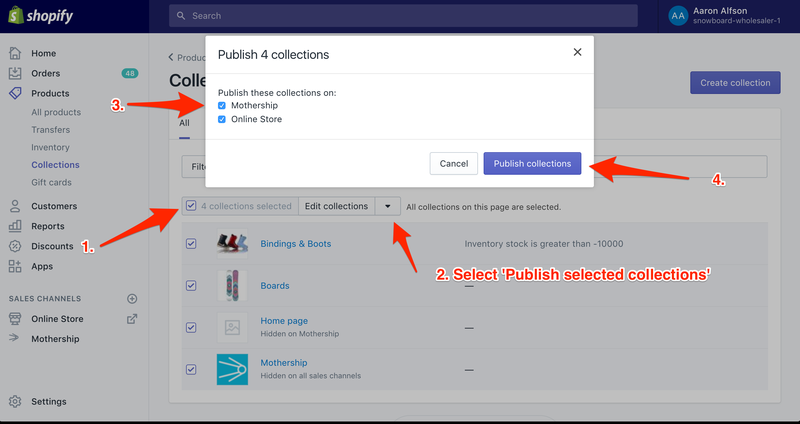 You can also bulk publish collections to Mothership from the Collections Listings page in Shopify. 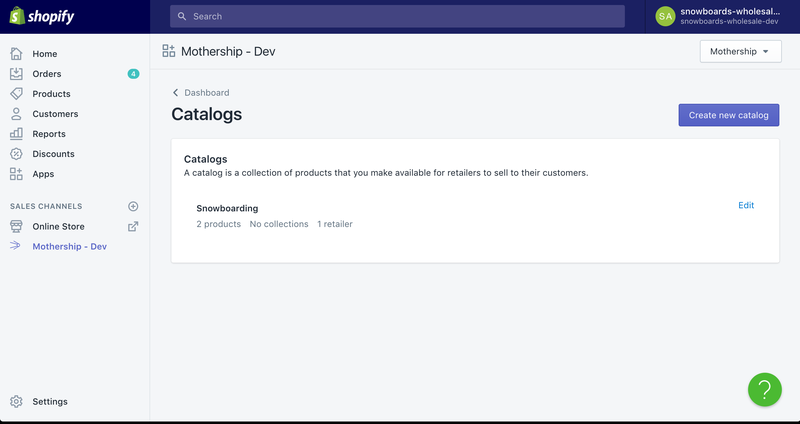 Once you've published your selected collections to Mothership, click on 'Mothership' underneath the Sales Channels section in the left-hand menu bar. Next, click on the Mothership drop down menu at the top of the app window and select 'Catalogs'. You should be taken to a page similar to the one below. 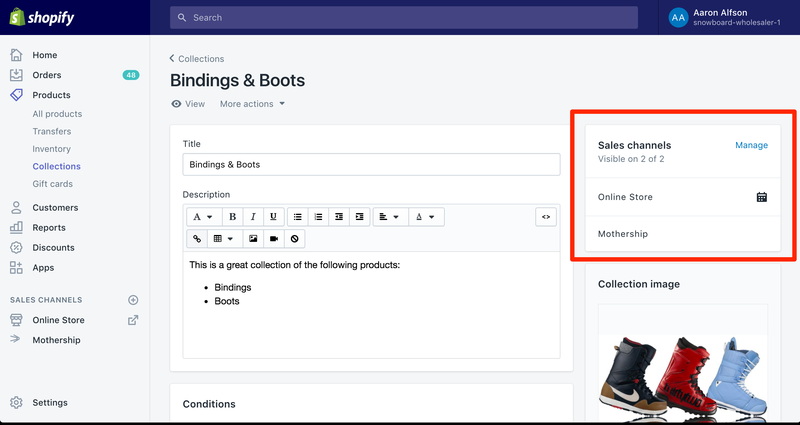 Next click on the catalog title or the Manage link next to the catalog you want to add collections to. You should be taken to the catalog configuration page. Click on the purple 'Manage Collections' button at the top. On the next page, select all of the collections you want to add to the catalog. You can also click the 'Check all' button at the top right to toggle the selected state for all of the collections listed. When you're done, click the purple save button at the bottom.